On Sunday night, my paternal grandmother passed away. Today, I’m struggling to navigate a confusing tangle of emotions. I’m caught in a state of emotional déjà vu. Because, in truth, I lost her once before – 20 years ago. That’s when she had the stroke. I was in middle school when a massive stroke stole my grandmother’s voice, and with it her ability to share her stories, her lessons, her self. She was paralyzed on her right side, and could no longer speak more than a handful of repetitive phrases. It was heartbreaking. And it went on for twenty years. Her experience motivated and fueled my quest for fitness. I fight against that future with every workout and every drop of sweat. Today I can think of no better way to honor the grandmother I lost than to encourage you to educate yourself about stroke risk. Learn the signs. Consciously engage in prevention. “The American Heart Association reports 800,000 Americans suffer from stroke each year. 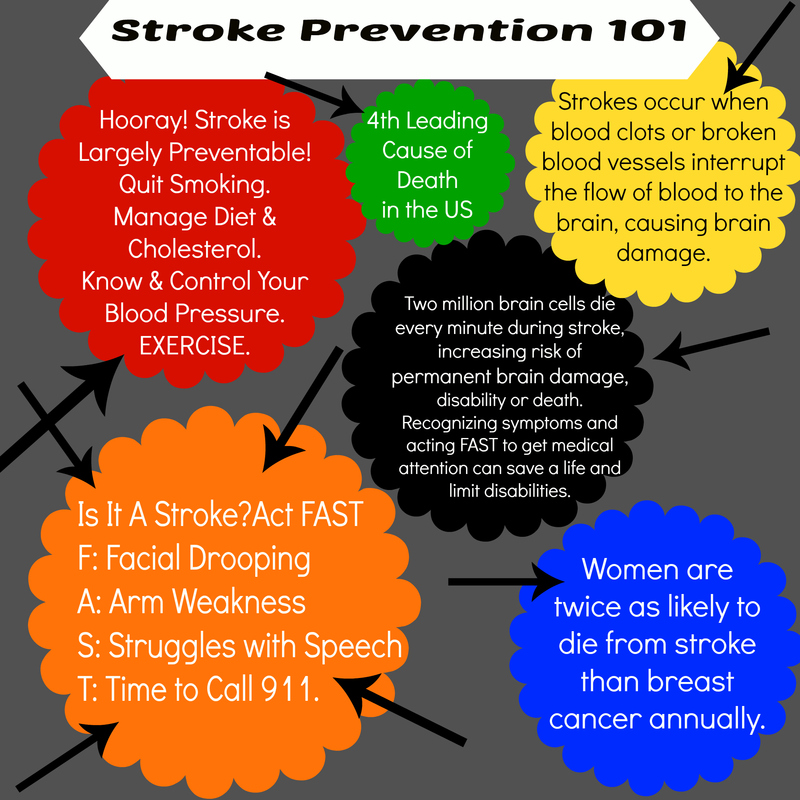 Stroke is the leading cause of disability in the US and the fourth leading cause of death. Up to 80 percent of strokes are preventable, because for the most part, strokes are the result of unhealthy lifestyle choices. Take care of yourself. Use your healthy days to prevent untold suffering. Sweat yourself healthy. Push your blood around. Make your heart beat strong. Work those elastic veins and arteries. This morning, I was tired. I was sad. I wanted to curl up in bed and cry. But I didn’t. 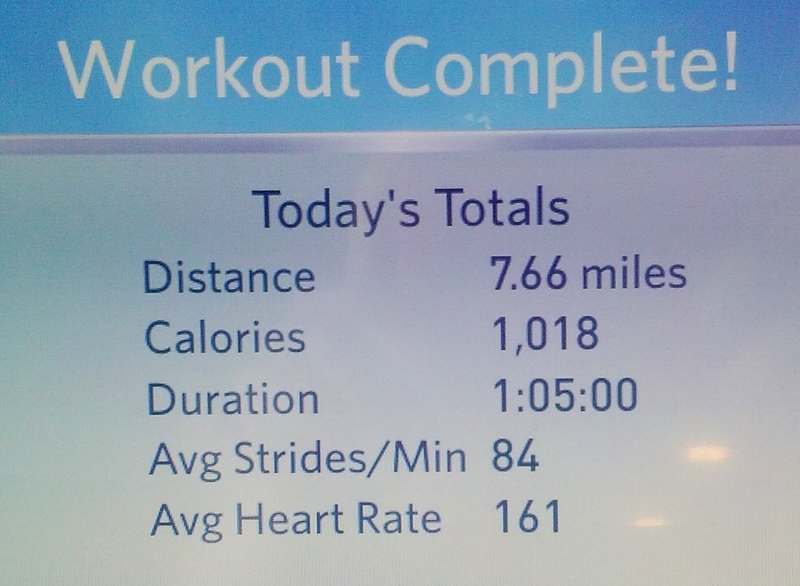 Instead, I laced up my running shoes and focused on my grandmother as I dripped with sweat. This one’s for you, Grammy. Fly high. I am so sorry for the loss of your grandmother. I appreciate you sharing this important story, and as a new grandma it inspires me to keep up my fitness routine and take good care of myself. I want to be there, healthy, for my grandchildren. Your grandma must be very proud of you up there, looking down.